Why clog up the roads when you've got a tailor made Bigjigs Rail Low Loader to take your bulldozer by rail? The detachable bulldozer sits securely on board and lets the rail network take the strain! 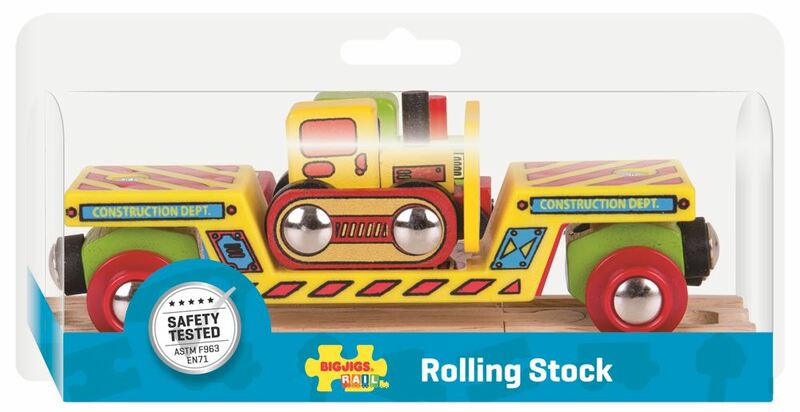 Includes: a 2 piece Bulldozer Low Loader set and 2 pieces of track. Magnetic couplings ensure compatibility with all other engines and carriages in the Bigjigs Rail range. Age 3+ years. Compatible with most other wooden railway brands. Distributed in New Zealand by Holdson.